The Bakers Assistant is a LiveCode IDE plugin for working on applications built using the Levure framework. The first version of the plugin provides an interface for browsing the UI, template, libraries, frontscripts, backscripts, behaviors, and helpers used by your application. You will be able to navigate your application more quickly using the Bakers Assistant than you can using the Project Browser as it doesn’t who every stack that is currently open in the IDE. Watch the following screencast to see an overview of how it works. This entry was posted in Uncategorized and tagged Levure, LiveCode on February 2, 2019 by trevordevore. The DataView Helper has been updated with new IDE commands that automatically create DataView controls and the associated row templates. The following screencast demonstrates how it works. This entry was posted in Uncategorized and tagged LiveCode on January 29, 2019 by trevordevore. Recently I announced that the source code for the DataView control was now available for LiveCode developers. A developer feeds a DataView rows of data from a variety of data sources. The DataView then displays those rows using templates (groups on a card) specified by a developer. The DataView is a custom control made up of a group, some child controls of that group, and various behaviors scripts. The custom group is placed on a card wherever a DataView will be used. Out of the box a DataView doesn’t do much without some configuration. It has no default UI for rows and it doesn’t favor one data source over another. The developer must define the row template(s) to use and provide data for a specific row when the DataView asks for it. List extensions installed in the IDE. Create a file browser from a folder of your choosing. Browse the stacks open in the IDE. List FontAwesome fonts along with icons taken from a SQLite database. List movies found in a SQLite database. Arrays built from functions, folder listings, and open stacks. In the demo application the ability to assign a database cursor or an array to the DataViews is provided by behaviors that inherit the base DataView behavior and are assigned to the DataView group control. These behaviors control the flow of data from a data source to the DataView behavior. The DataView comes with one behavior that allows a developer to assign a numerically indexed array to the dvData property of a DataView (array_controller_behavior.livecodescript). The DataView Database Cursor behavior, a separate download, adds a dvCursor property. A developer can assign the result of a call to revQueryDatabase to the property and the DataView will automatically scroll through the results. There is also the DataView Tree behavior that adds a dvTree property for displaying tree structures in a DataView. The File Browser and Stack Browser examples are built on top of it. While these behaviors that add a dvData, dvCursor, or dvTree property are helpful, they still don’t provide templates that dictate what each row will look like. But it is possible to distribute very specialized controls that are built on top of a DataView. These specialized controls can focus on providing a very specific feature to an application. For example, a File Browser control could be distributed which contained the necessary behavior and row templates for browsing the file system. The developer using the control might only need to specify some colors to use for folder and file icons and assign the dvRootFolder property in order to have a working file browser in their application. A similar control could be made for a generic tree browser. For many use cases the ability to specify an icon, label, and colors, along with the necessary event messages to respond to user actions, would be adequate for a developer to add a tree UI to his or her application. This modular approach to building on top of DataViews is greatly simplified because the DataView is packaged up as a Levure Helper. A Helper in the Levure Framework is a means of adding complex functionality to a Levure application by simply dropping a folder into the Levure application project folder. The folder contains a configuration file (helper.yml) that tells Levure how to use the files within the folder. For example, the DataView helper folder contains seven script files and a stack with a sample DataView control. Six of the scripts serve as behaviors while the other script is used as a frontscript. If we consider the File Browser example within the context of a Levure Helper then distributing the control becomes much simpler. The developer creates a behavior script which extends the DataView behavior along with any row templates (groups on a card) that the File Browser needs. 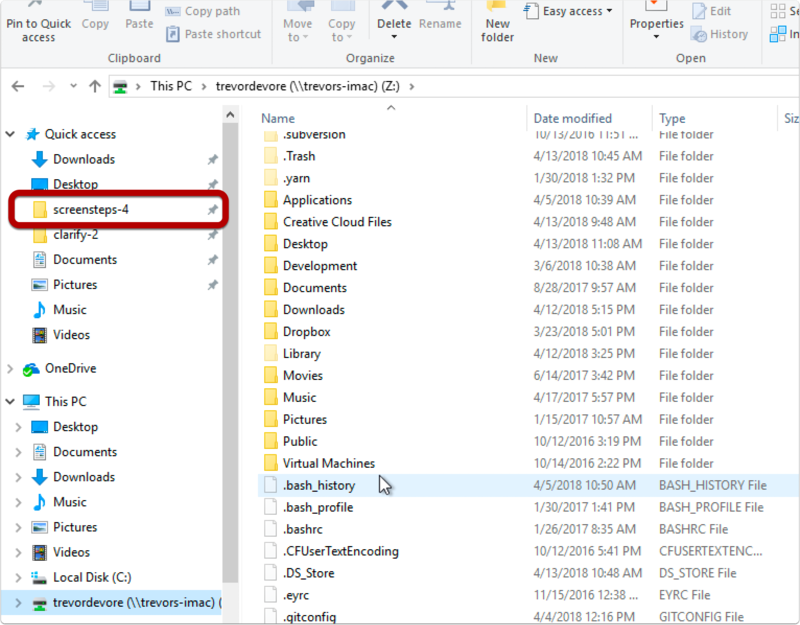 Those files are placed in a single folder along with the helper.yml file. The developer who wants to use the control adds the DataView helper folder and the File Browser helper folder to the ./helper folder of a Levure application. After that all of the code required to make the control work is available. Going forward I hope to see other developers build specialized controls with beautiful UIs on top of the DataView. The DataView control has been tested on macOS, Windows, and iOS in LiveCode 8 and 9. This entry was posted in Uncategorized and tagged LiveCode on January 16, 2019 by trevordevore. This entry was posted in General on November 8, 2018 by trevordevore. When I’m developing desktop applications in LiveCode I need to test on both macOS and Windows. 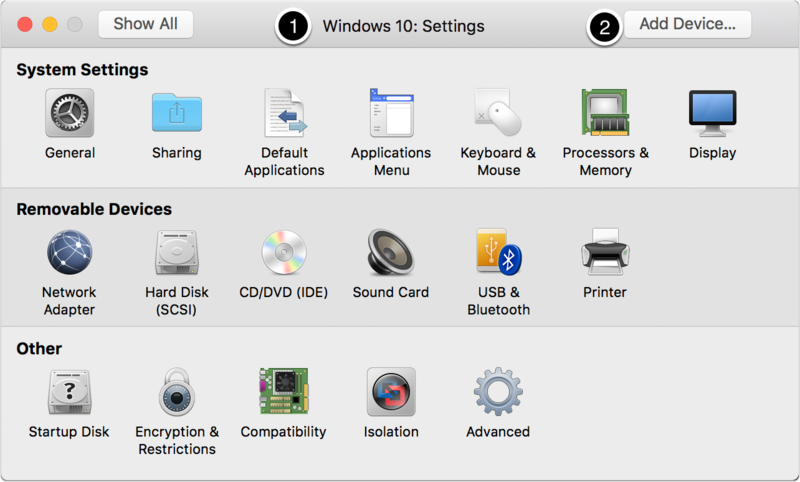 My primary development platform is macOS and I run Windows using VMWare Fusion. Since I use the Levure framework I can switch over to VMWare at any time, launch a pre-compiled executable, and quickly see how my app behaves. The precompiled executable loads the current development files so I’m testing what I’ve been working on in the LiveCode IDE on macOS. The interesting thing is that this had not always been a problem. In the past I had used the same workflow with VMWare Fusion and had no problems. Yesterday I upgraded to VMWare Fusion 10 hoping that the problem might be fixed. When I saw that it wasn’t I decided to email VMWare support to see if they knew what was going on. I was pleasantly surprised to get a call back from their technical support team in no time at all. We got on a screen sharing session, I showed them what was going on, a knowledgable person then got on the phone with me and talked me through the solution which I will describe below. At some point I had set up VMWare Fusion to use Shared Folders. 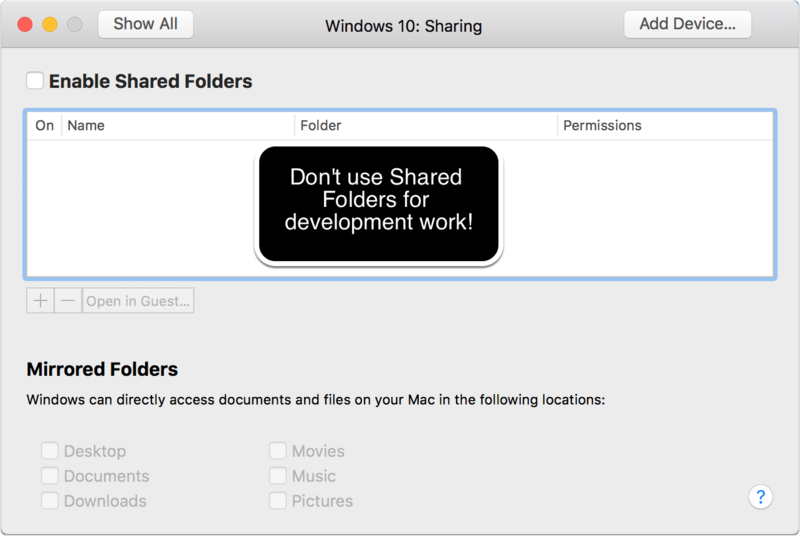 This is an easy way of making folders on macOS available to Windows. While it is convenient, the feature wasn’t designed to be used the way I’m using it for development work and the issue I described above can occur. The solution is to mount your macOS folder as a network drive. This involves a little more work but is simple enough if you know what to do. 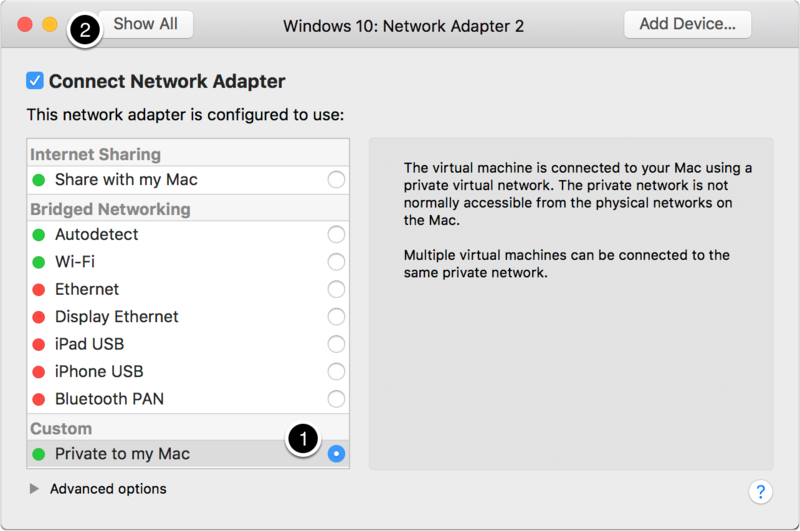 I’m going to show you how to create a private network between VMWare and your Mac so that you don’t have to worry about which network you are on. To begin, turn off your VM and open the settings. Click on the Add Device… button. 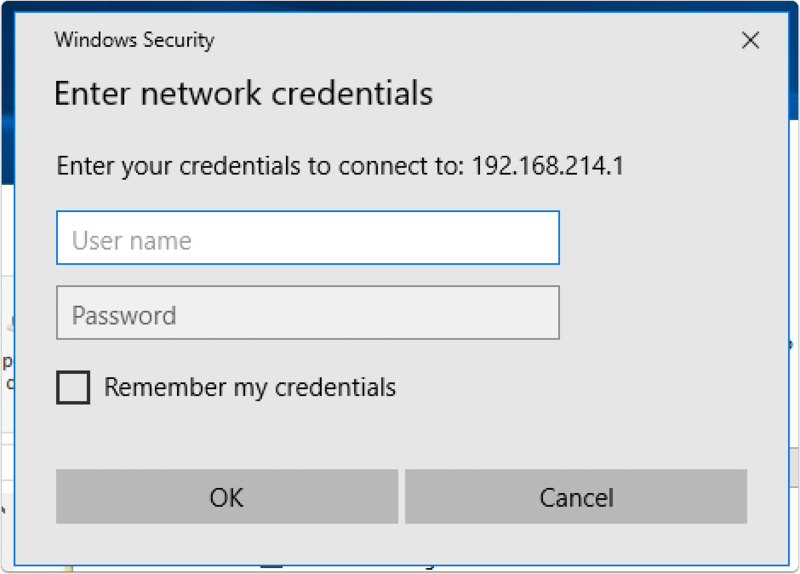 You should now see two network adaptors in the Settings window. 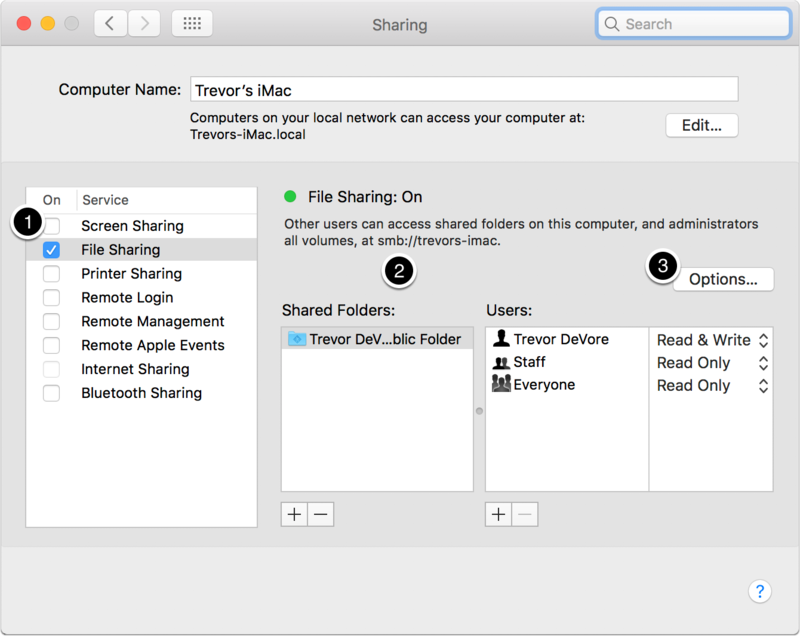 Navigate to the System Preferences > Sharing panel and turn on File Sharing. Make note of the smb address. Click on the Options… button. 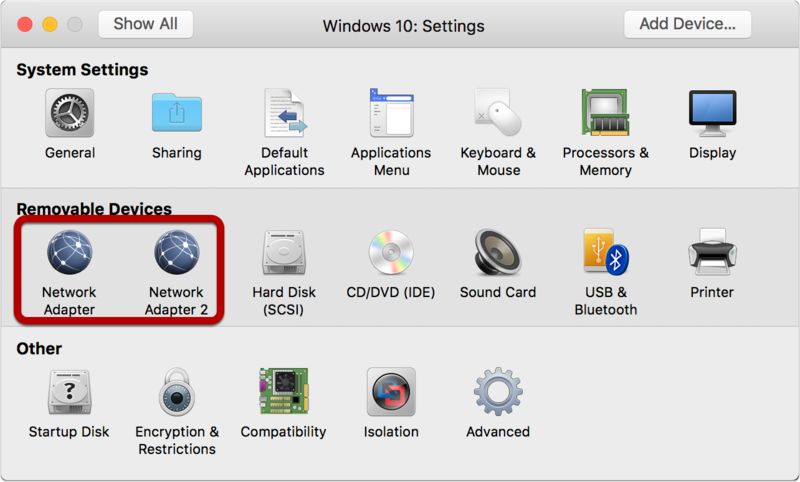 In order to mount your folder as a network drive in VMWare you will need to check the box next to the account you want to share. 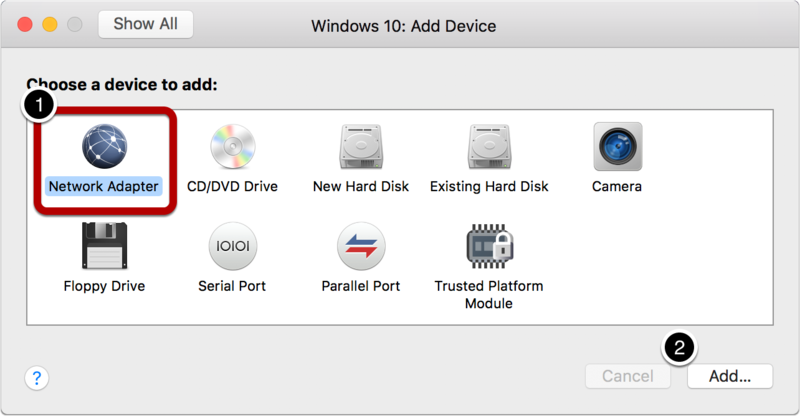 You are now ready to launch Windows in VMWare Fusion and map a network drive. Select This PC in the left column of a Windows Explorer window. 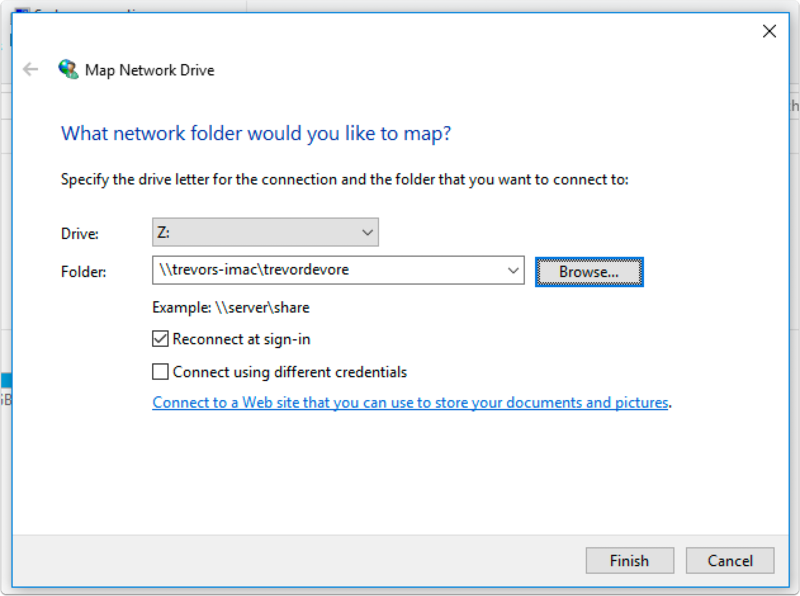 Click on Map network drive and select Map network drive. 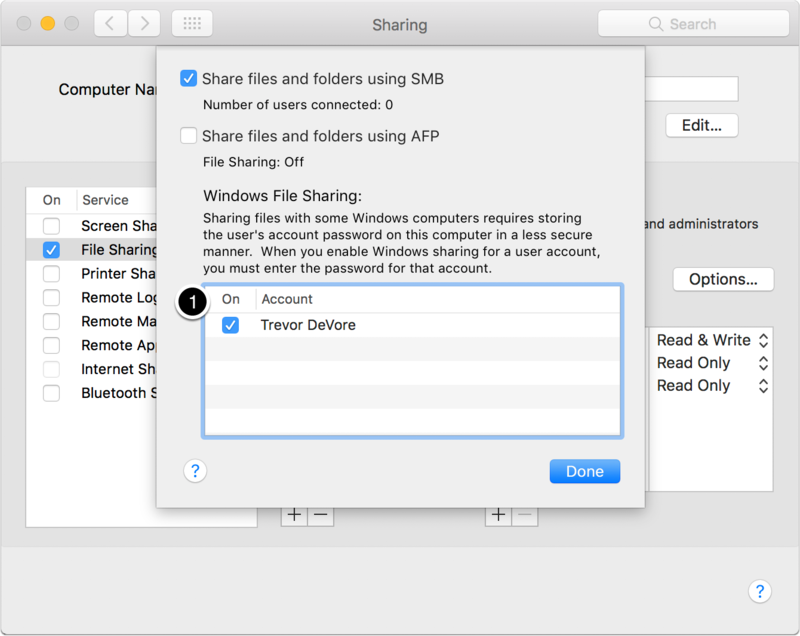 Your macOS folder will now appear as a networked drive under Windows. 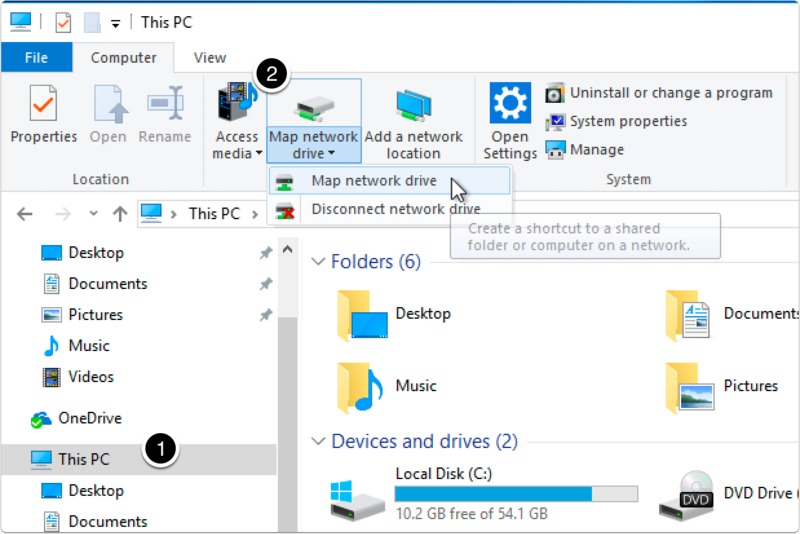 You can drag any folders from the networked drive to the Quick Access area so that you can quickly navigate to the applications you want to test. Using this approach you can edit files in macOS and know that the file contents will be updated properly within Windows running in VMWare Fusion. Happy testing! This entry was posted in General on April 13, 2018 by trevordevore. In LiveCode 9 the image object has been updated with support for resolution independent vector data. In addition, a new Drawing Library is included which has two functions that will convert an SVG file or SVG data to a format that can be assigned to the text of an image. The end result is that developers can now import SVG files into the LiveCode image object. This is a great way to include resolution independent graphics in LiveCode applications. Given that LiveCode 9.0 does not support the entire SVG specification it is possible to create SVG files that will not import into LiveCode properly. This article will show you how to export an SVG file from Adobe Illustrator that will display properly in LiveCode. This entry was posted in General on April 1, 2018 by trevordevore. Years ago I set up a license key generator on our server to generate license keys for our products. I used a revolution standalone engine and a plain text LiveCode script that was processed using the engine. Recently, a server upgrade removed a file that was necessary for the old revolution engine to function so I was forced to update my setup. Below is a description of the solution I came up with after a few hours of trial and error. To process my plain text LiveCode script files I installed the 64-bit version of the community version of the Linux standalone engine on my server. I grabbed the file named Standalone from the Tools/Runtime/Linux/x86-64 folder of a LiveCode Community installation. I renamed the file to <code> on my server and made it executable (e.g. chmod 755). Note that you need to use the community version as it doesn’t need to be licensed. If you grab the Standalone engine from an Indy or Business installation the engine won’t run because it is unlicensed. Licensing occurs when you build a standalone in LiveCode. The script generates the key, outputs it to STDOUT, and then quits. That’s it. Note that when processing parameters in your script, -ui and keygenerator.livecode would be the first two parameters. Actual parameters that your script is interested in processing would start with parameter number 3 in the commandArguments. The final thing I had to do was call the license generator from PHP. You can do that using the exec() function. Below is some sample code. Note that I am base64 encoding the name. If the name for the license has accented characters in it then PHP will throw an error if you try to include it in the exec() function. Just make sure you call base64decode in your LiveCode script that generates the license key. $execStr = $license_generator . 'lc-standalone-v8 -ui ' . $license_generator . 'keygenerator.livecode ' . escapeshellarg($license_count) . ' ' . This entry was posted in Uncategorized on October 21, 2016 by trevordevore. You compile the widget and then launch your project. When your existing widgets are displayed on the screen they aren’t rendered. All you see is an empty area. You try to check the properties in the property inspector but no properties are set. What is going on? Since your widgets created with version 1 of your widget they didn’t store any properties named “border color” or “stroke width”. When you try to access a key of the pProperties array that doesn’t exist LCB is unhappy and refuses to go on. There is an easy fix, however. Whenever you release a new version of your widget with new properties you need to add a check to make sure the new properties are keys in the pProperties array. Since I added “border color” and “stroke width” in version 1.0.1 I just check for the presence of one of the keys. If one of the keys is present then the other will be present as well. With this change to the code, your existing widgets will still load when running with version 1.0.1 of your widget. This entry was posted in Uncategorized on September 17, 2016 by trevordevore. One of my favorite aspects of creating Widgets with LiveCode Builder (LCB) is that I don’t have to create multiple image assets in order to support various display resolutions. Since it is possible to create very complex shapes using the new drawing routines I no longer have to resort to using PNG images exported from Photoshop for more complicated aspects of my UI. Busy indicators are one control in particular that are quite a pain to manage. You needed to generate a PNG image for each frame in the animation and you had to create the animation for at least two sizes (1x and 2x). With widgets creating a busy indicator is much simpler and you get better results. Here are a couple of notes from a busy indicator that I just finished working on. You can get the source from my livecode-extensions github repository. This entry was posted in Widgets on April 14, 2015 by trevordevore. Today I had to create a slider control for an application I’m working on. I thought I would document how I did it as a reference for others who are trying to get started with widgets. I assume that you have read the Extending LiveCode guide in the LiveCode 8 dictionary. This entry was posted in Widgets on March 19, 2015 by trevordevore.